Free quotes and job specific drawings available! Please browse thorugh the web site and learn more about us and the products that we manufacture and then contact us to learn more about the products and the success of our customers who have purchased the LINX greenhouse. Hello. I am Scott S. Thompson and I welcome you to the LINX website. Please explore the information that we have gathered for you and then contact me either by phone (732-788-8039) or email (scottt@nexuscorp.com) to review your business and how I can help you. I look forward to working with you ! "The response we received from the LINX Greenhouse was very satisfactory. The entire staff visited our facility and did a complete assessment of our needs and then followed through with an appropriate proposal. As we started to work on the construction of our greenhouse addition, all the parts were present and clearly marked for proper installation. The work went very smoothly and quickly as a result. I would have to say that in the overall experience dealing with the LINX staff, they were professional and competent." "Hurricane Sandy hit during our construction process and we had to use some of the new construction materials to repair damage to old sections of our greenhouses. LINX replaced those materials in a timely manner." 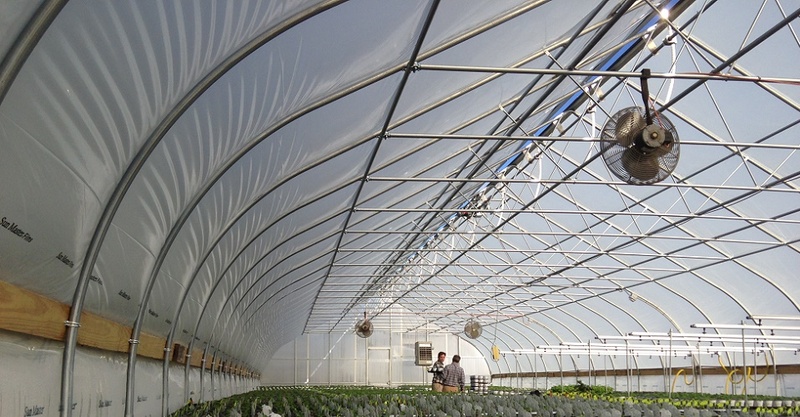 "This is a company that can be relied upon to provide professional support for any greenhouse project whether large or small. Good service, good parts and good follow-through."